Thank you to MomSelect for the opportunity to share about this great book. Although this post is sponsored, all opinions are my own. My daughter and I are book nerds through and through. Our latest read was fantastic and I'm really excited to share it with you! 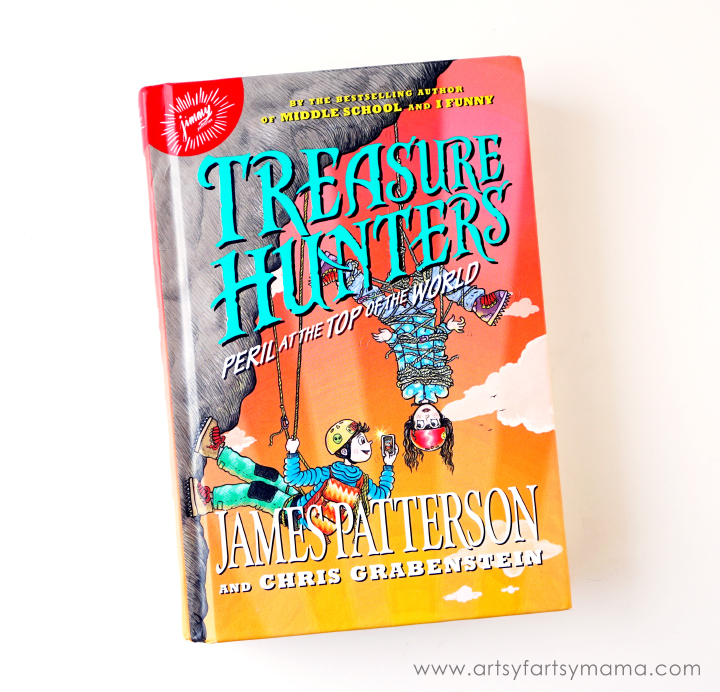 We read James Patterson's Jacky Ha-Ha a few months ago and really liked it, so I knew that Treasure Hunters: Peril at the Top of the World was most likely going to be a great book as well. We definitely weren't disappointed. This book is an action-packed and thrilling story with twists, turns, and a whole lot of humor. The book is recommended for ages 8 - 12 (grade level 3 - 7), but I personally think most kids will love it even if they can't read it on their own. With the story revolving around a family, there's a character that everyone can relate to. My daughter really connected with the character, Storm (aka Stephanie). She is the oldest sister of the family with a knack for remembering facts and important information like my daughter can. She also wears glasses, so that might have also had an effect on her decision. Even though there's over 200 pages, it's a clever and entertaining read. 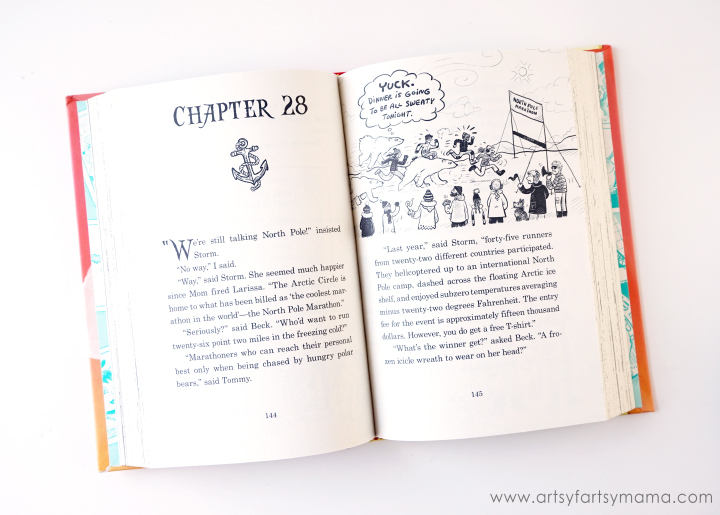 The chapters are also shorter than most books, so it feels like you are going through the book fairly quickly. There are plenty of illustrations to help kids to better imagine the thoughts of the characters and the storyline, They are also pretty funny! My daughter made it her job to read each of the illustrations while mine was to read the story aloud (using funny voices, of course). 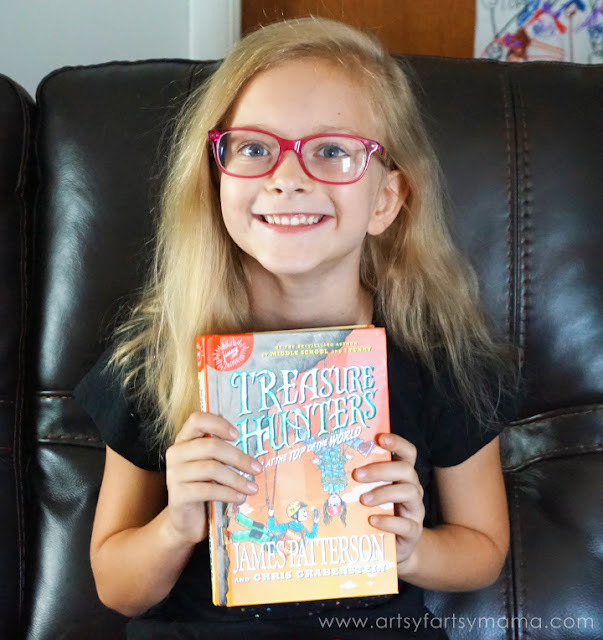 I highly recommend checking the Treasure Hunters series out (there are currently 4, with Peril at the Top of the World being the newest). Because every book needs a bookmark of some kind, I've also got some free printable punchcard bookmarks for you to print and save your spot. 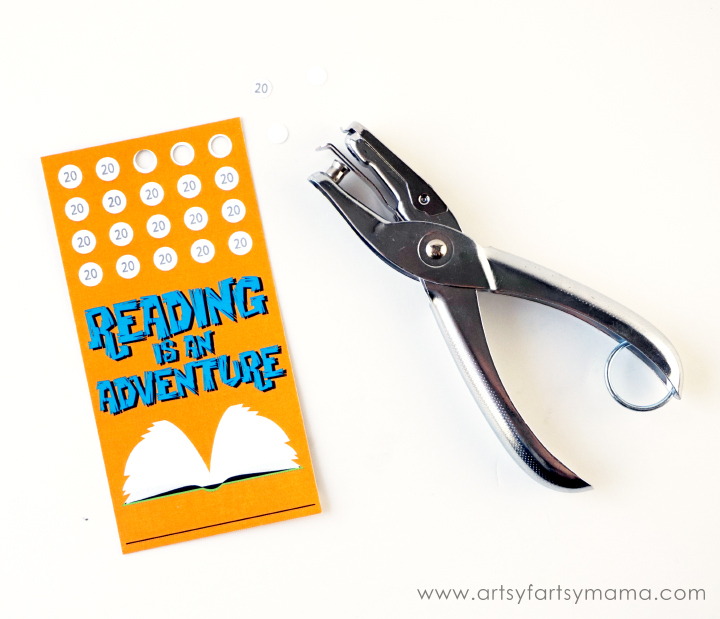 A great thing about these particular bookmarks is that they are meant to help motivate the kids to keep reading! It's recommended that kids read at least 20 minutes per day. On the bookmarks I've made 20 spots (for 5 days a week) with the number '20' on each one. The circles can be punched with a hole punch or stamped. When the circles are all marked off, you can reward your kids for reading with whatever prize or reward you agree on (i.e., a trip to the bookstore or library, go out for ice cream, etc). The next month, you can start again with a new bookmark and keep that reading habit going!! 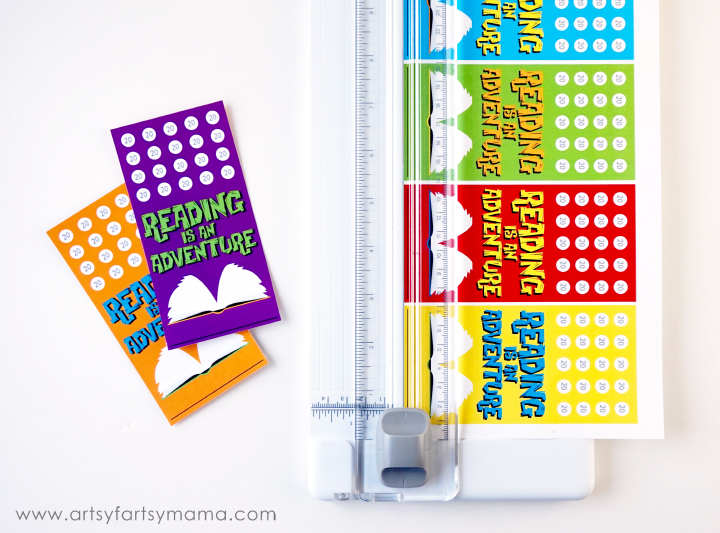 There are six different color bookmarks on the printable page, so just print out two sheets and one child is all set for the entire year of reading! My daughter helped me design these with herself in mind, so I hope that your kids will love them as much as she does and will help them develop a love of reading. We love those books! These are the cutest bookmarks. Great idea! Aww - those bookmarks are so cute and fun! !